Tristan Catan was thrust into his first action at quarterback this season on short notice last weekend and did he ever deliver. Catan, normally a wide receiver and free safety, factored into six touchdowns while filling in for starting QB Tiliti Adams Friday night to help Kamehameha-Maui to a 51-34 win over Baldwin at Kanaiaupuni Stadium. The 5-foot, 11-inch, 195-pound senior completed 15 of his 28 pass attempts for 325 yards. He threw five touchdown passes to four different receivers and also rushed for 98 yards and a score on 15 carries. Catan's lone blemish was an interception, but it's easy to overlook considering the circumstances. "He basically had about 15 minutes of reps to go on from the day before," Warriors offensive coordinator/quarterbacks coach Lance DeSilva said of Catan. "Our starting quarterback (Adams), his arm went dead toward the end of our practice Thursday — he couldn't lift his arm — and knowing Catan's competitiveness, I told him that ‘you're gonna be the guy,' so with open arms he welcomed the challenge," DeSilva said. Catan and DeSilva exchanged text messages throughout Thursday night. "He took it upon himself and he was asking about every play, all the reads and the next day after school he wanted to meet again, so we went for about 45 minutes, broke down every read, every play and then it was just ‘go out and play' after that. That's what makes it even more incredible that he did that," DeSilva said. "I was joking with him the night before, saying ‘let's go for 500 yards (of total offense) tomorrow and throw for 300 (yards). He almost ran for a 100, too. I didn't think he would throw for five TDs, but what makes me happy as a coach is that he made the right reads, went through his assignment, did what he needed to do and stayed composed in the pocket. That was nice to watch." 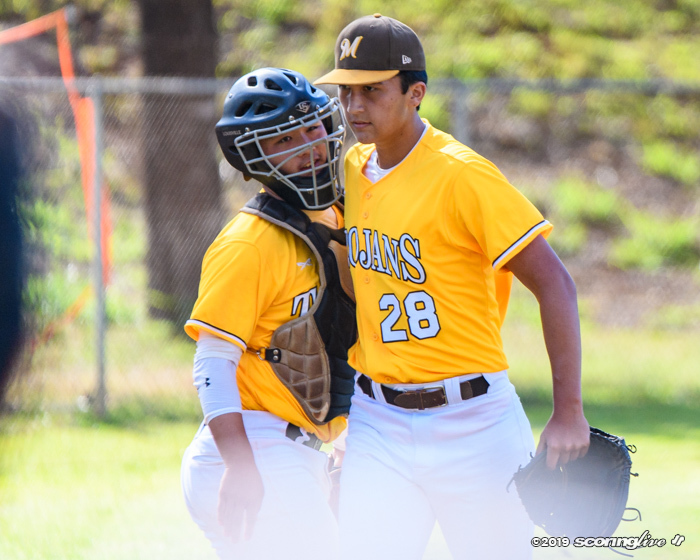 Warriors coach Ulima Afoa said Catan served as a backup to former starting quarterback Kainoa Sanchez as a sophomore two seasons ago and has lined up just about everywhere since. "He gives whatever he has in order to contribute to the wins, whether it's on the offensive side or the defensive side. He'll play anything from running back to wide receiver to quarterback, on the other side of the ball he'll play linebacker and free safety. Against Baldwin he didn't panic, he just kept his calm, cool, collected self and he's a competitor," Afoa said. "Just the fact that he was willing to do what we asked him to do and so in that respect he's a very selfless player, a team-oriented guy and he's the type of kid that is helping us. I feel like we're having a pretty decent year and it's those type of kids with positive attitudes that obviously help you win ball games." Catan's accolades over the span of his four-year varsity career speak to his versatility. As a sophomore he was a First Team All-Maui Interscholastic League receiver by The Maui News. Last year he made the first team as a defensive utility selection. "He's even been the nose tackle on our scout (defense) some practices," DeSilva said. "This kid is kind of just everywhere, so to see a reward for him like this is really nice. He's just an overall really good kid, a team-first kid." Attitude aside, Catan also possesses both the athleticism and mental capacity to excel at multiple positions. "He's got good football awareness, good football sense and he understands how the game goes," Afoa said. "I think he's done a nice job of understanding concepts and that makes a big difference. You can't put somebody back there who is really not familiar with the concepts on offense or defense. A lot of it is they have to make sense of it before, I think, they can be an effective player. Catan's passion, however, is playing defense. "He's our starting free safety, but obviously we had to rest him on defense since we moved him to quarterback, but he's a guy that controls our defense. Obviously he's the guy that secures the tackle and basically makes sure that everyone is going in the right direction," Afoa said. With the extend of Adams' shoulder injury still unclear, Afoa expects Catan to retain the starting job at quarterback for the time being. 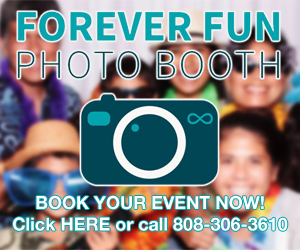 "The thing with Tristan is he begs me every day and tells me, ‘coach, just because I'm playing quarterback doesn't mean you have to take me away from playing free safety,' " said Afoa, who is hopeful that interest in Catan — who also plays baseball during the spring season — from colleges and universities will grow. "I think somebody ought to take a look at him because I think he can play at the next level. He wants to continue his college experience, but he also wants to go play somewhere at the highest level he can achieve," Afoa said. With the win Friday, Kamehameha-Maui improved to 1-1 in the MIL's second round (4-2 overall), but it has already turned its focus to its next opponent: two-time reigning Division II state champion Lahainaluna. "It was a big win because it's kind of like that old saying, ‘it's the most important game because it's the one you're playing,' " Afoa said. "We're trying to get to where Lahainaluna is, where they don't really differentiate between D1 and D2 (opponents). You play and you try to beat the team that you're playing every week; that's where we we're trying to take our program." 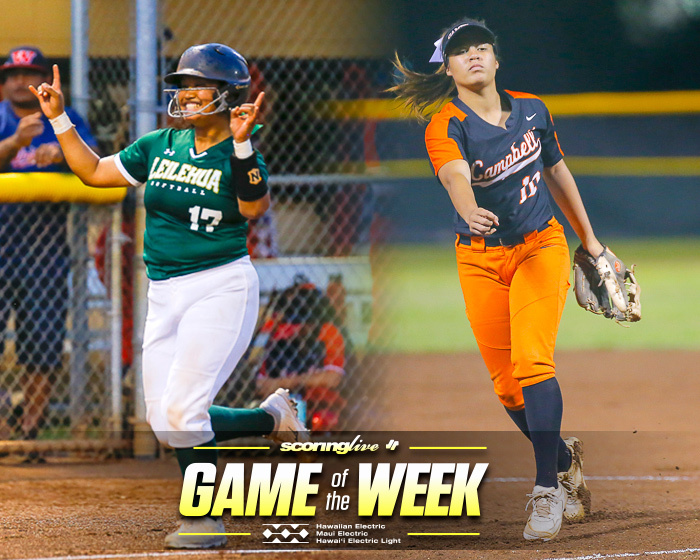 The first-round meeting between the schools went in favor of the Lunas, 14-0. "We played them probably the best that we've played them defensively since I've been here, but you also have to be able to score points," said Afoa, now in his third season at KS-Maui. "You can't make mistakes against Lahainaluna. Their system is not very difficult or complex, it's just that they're gonna play smash mouth football so you gotta be able to take the pounding a little bit and make sure you stop them offensively because the game can get away from you real quick." 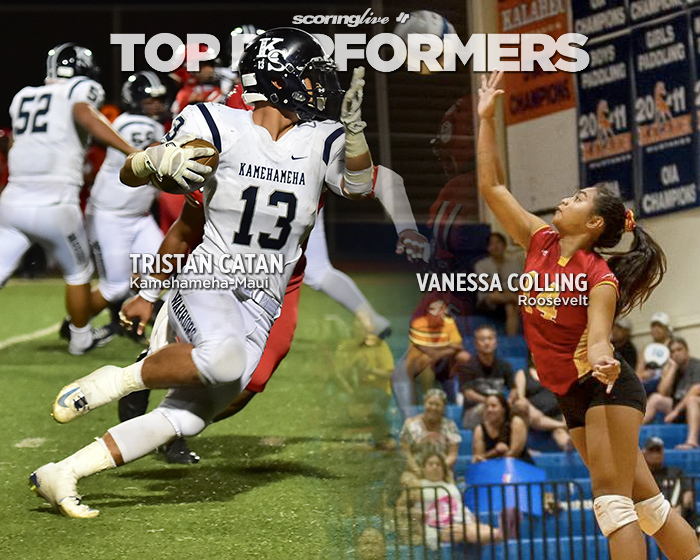 Catan and the Warriors will host the seventh-ranked Lunas, 7 p.m. Friday at Kanaiaupuni Stadium. Vanessa Colling has just about done it all over the course of her four seasons on the Roosevelt girls volleyball team, but last Monday night she notched another milestone achievement. Colling, a 5-foot, 4-inch senior outside hitter/middle blocker/setter, recorded a team-high 17 digs to help the Rough Riders to a three-set win over then-No. 8 Moanalua on their home court. She also had six kills, one ace and a block assist in the 25-19, 21-25, 15-10 victory. "That has been most of the seniors' dreams for every class, that we have to beat Moanalua before they graduate, so this was probably the first time in the last six years — since I took over as head coach, for sure — that we've done that, so it's nice and I'm hoping it shows them that they can play against the top teams at the higher level," Roosevelt coach Puna Velasco said. 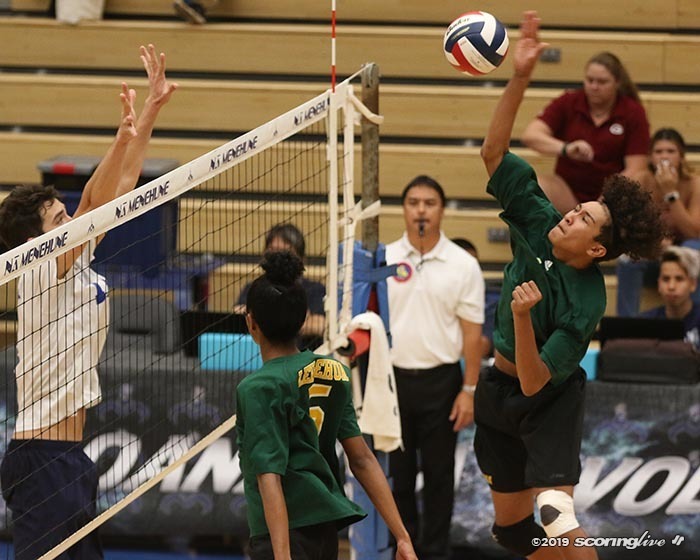 Prior to the win over Na Menehune, the Rough Riders had dropped three of their last five matches. "We kind of needed that," Velasco said. 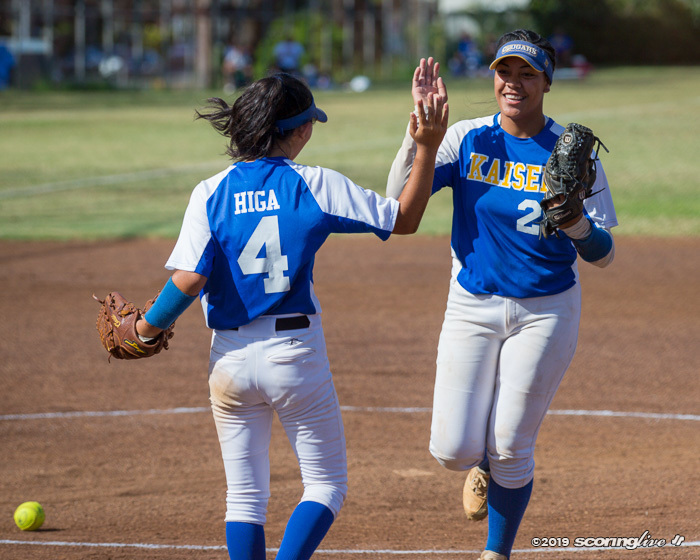 "Moanalua is a really good offensive team, so the fact that we could keep bringing up balls defensively was huge. I thought it got into Moanalua's head a little bit — it might have frustrated them a bit — but any time you can beat Moanalua, it's a really big accomplishment. I thought our defense was really strong. Not being the tallest team, we're not able to present much of a block, so having that digging in the back row was really important." Colling, a six-rotation player and four-year starter, certainly played a big part in that. "Her defense was excellent. She does well blocking and hitting, but primarily her role as our center back and her digging is one of the anchors for the team. Without her we would be struggling a lot more, so I would say her back row defense is probably her strongest point," Velasco said. Colling's versatility has made her a valued asset for Velasco over the years. "Right now I think the fact that she can play multiple positions really comes in handy. Being able to swap her out from outside hitter to middle blocker has been helpful — and being a 5-5 middle is pretty impressive in itself," Velasco said. In Roosevelt's regular-season finale at Kalaheo Wednesday, Colling registered a double-double with 13 kills and 17 digs in addition to three aces and a solo block. Velasco said Colling's leadership has shown improvement since her freshman season. "Her maturity has grown and it's shown in how she approaches the game. Plus, she's taken on a leadership role for us. She was always a good player, (but) she just kind of shied away from that leadership role (in the past). This year it's kind of nice that she's accepting that responsibility and taking on that work load, but primarily her maturity has grown over the four years," Velasco said. Colling's leadership, however, is on display more typically through her actions, not her words. "She's kind of the quiet leader. She just kind of goes out there and plays," Velasco said. "I guess some people lead vocally; she's not one of them. She just kind of leads with her play, which is kind of nice (because) we have other people to take the vocal side so it's kind of a good balance." As a junior last season, Colling was the lone Roosevelt player to earn First Team All-Oahu Interscholastic Association Eastern Division recognition. 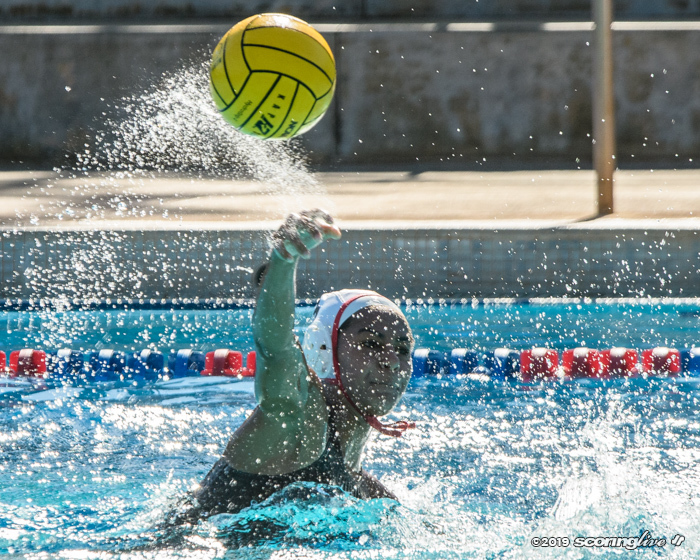 She also picked up Honorable Mention All-Hawaii distinction as a utility player. "She's pretty much crucial (to our team success). We have other people that can play that center back passer for us, but just not quite as good as she can and defensively our team has to dig more than most, so she's important for us defensively and then offensively I'm hoping she can put her offensive game together down the stretch. If she can do that, she'll be able to carry us through what we hope will be a deep playoff run," Velasco said. Roosevelt finished fifth in the Eastern Division. 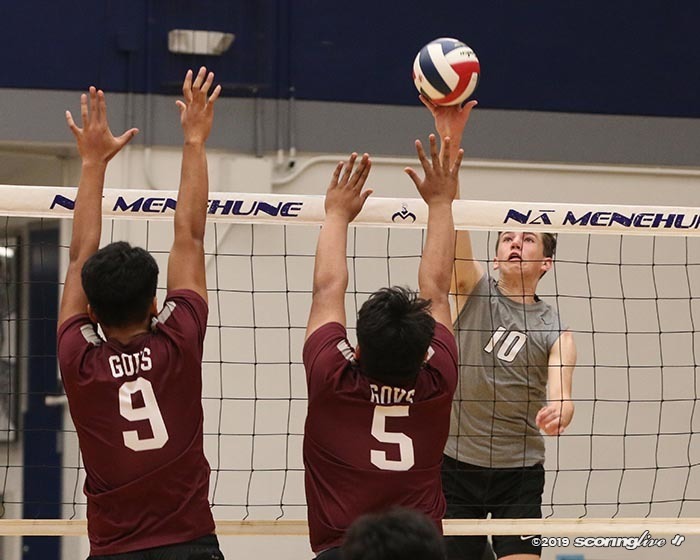 Colling and the Rough Riders (7-4) will open up postseason play at West fourth-seed Nanakuli in a first-round match Wednesday at Farrington's Richard Kitamura Gymnasium. First serve is set for 5:30 p.m.